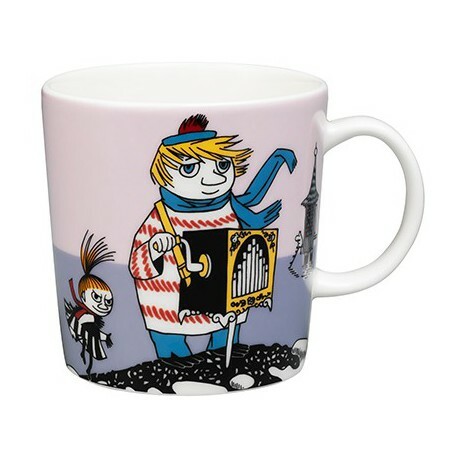 This new version of the violet Moomin mug by Arabia features Too-ticky. It's beautifully illustrated by Arabia artist Tove Slotte and the illustrations can be seen in the original book "Moominland Midwinter" by Tove Jansson. Too-ticky is a friend of the family, craftsman and practical philosopher. Has her first appearance in the novel "Moominland Midwinter" and returns in the short stories of "Tales from Moominvalley" and in comics. The character is named after Tuulikki Pietilä, Tove Jansson's life partner.